Pretty good book altogether. The past lives of Eve and Roarke are brought out more. The title gives a good clue as to the context of the book, but as with many of these In Death novels, there are many layers. I'm actually trying to get to the first few books, which I haven't listened to yet. 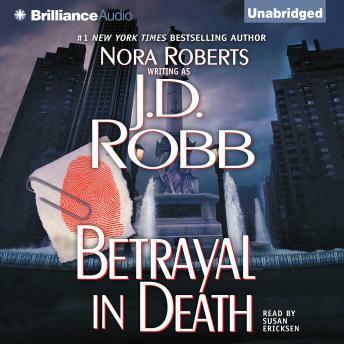 Jd Robb again did a fantastic job , good narration .